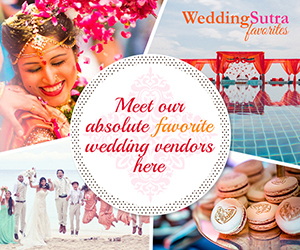 The pre wedding photoshoots are now a staple but couples are upping the game by picking fabulous destinations for this day of fun. An excellent photographer and gorgeous locations are important but ultimately, the focus is on the couple and how loved up they are. If you’ve got a pre-wedding shoot on your to-do list, take a cue from some of this month’s favorite shoots and get ready to focus! 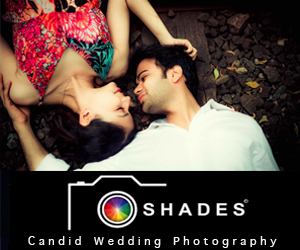 Aditi and Anish conjured a stunning pre-wedding photo shoot in the ‘land of smiles’ with some help from WhatKnot. Choosing from a range of beautiful backdrops that added magic to every frame, this couple let their emotions and romance take center stage. This series of photos was shot at Rayong Marriott Resort & Spa in Thailand and evoke a sense of serenity within which the couple’s love shines brightly. Frames from Devyani and Vinit’s photoshoot shot by Once Upon a Time Wedding Tales in Doha, Qatar exude a contemporary charm. Shot in a country rooted in ancient culture, the destination provided a range of backdrops – the desert, the cityscape in the distance and modern architecture from up close. 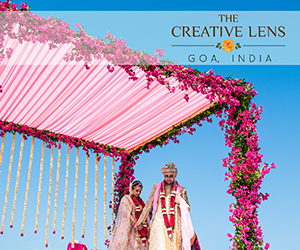 Within each picture perfect frame, the couple stands out and their photographs are a beautiful representation of their love. Amsterdam’s canals, lanes, culture and people provide a vibrant palette for a pre-wedding photoshoot. 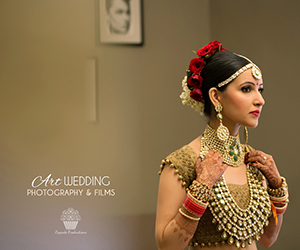 Dipak Studios shot Ankita and Manmeet’s perfectly capturing the pure romance and the timeless chemistry that crackles beneath the surface. The venues matched their style very well and the couple looked very much at home, enhancing the pictures further. 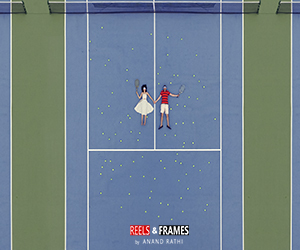 The Rich Pages deftly captured Vivek and Dipansy’s love in frames that make their shared glances and chemistry tangible against beautiful backdrops of Goa. The series evolves from casual stances to gorgeously posed photos that embody elegance and poise. Vibrant colors and clean frames work as a dominant factor in making their pictures classic. Some of the most memorable photographs from this photoshoot are of the duo posing on a cruise and that of their glowing silhouette bathed in a golden light. This entry was posted on Friday, July 20th, 2018 at 5:53 pm	and is filed under Pre Wedding Photoshoots. You can follow any responses to this entry through the RSS 2.0 feed. Both comments and pings are currently closed.